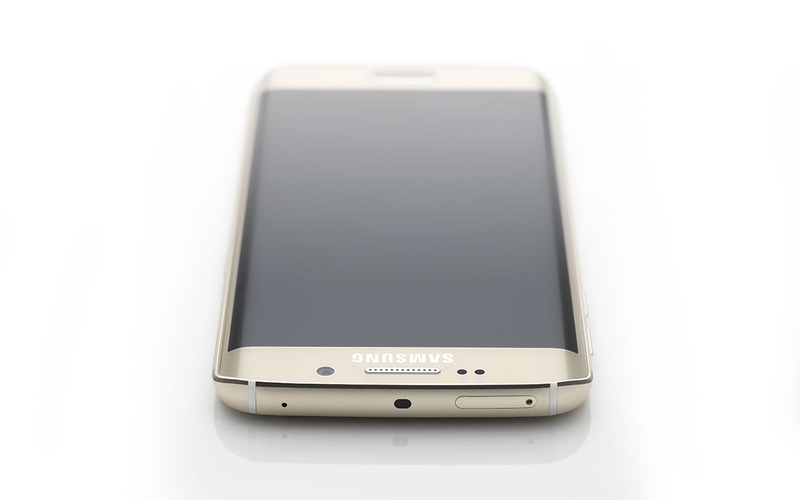 Over the years, we have continued to add new devices to our specs comparison chart of Samsung’s Galaxy devices. We started with the Galaxy S3 and Galaxy Note 2, because prior to those, Samsung was giving carriers their own custom versions of each and it was impossible to keep track of. But with those, we started seeing carriers adopt a single model, bringing consistency and a brand explosion to the Galaxy line. As you probably guessed, we went ahead and added the Galaxy S6 and Galaxy S6 Edge to the list to show how far Samsung has come over the years. Keep in mind that the chart below doesn’t mention things like the Galaxy S6’s UFS 2.0 storage or LoopPay or its MIMO WiFi or metal and glass body or the fact that it supports both of the most popular wireless charging standards. So in reality, the two new phones go far beyond what this shows. Maybe going forward, we’ll have to ditch the format or figure out a way to add even more detail. The technology probably deserves the mention. 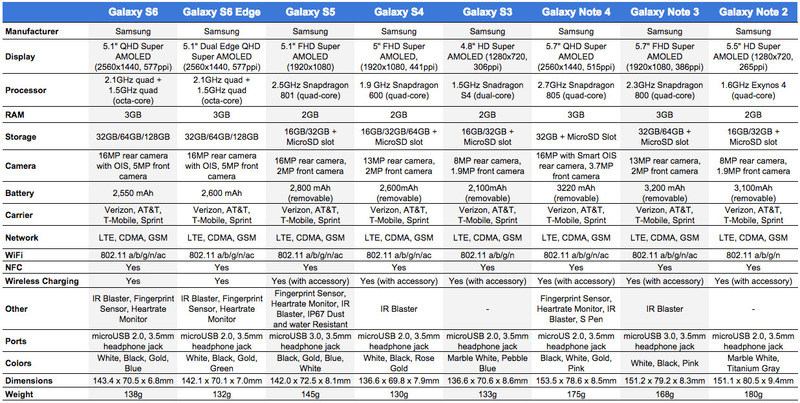 Either way, for at least one last time, this is how the new Galaxys stack up.